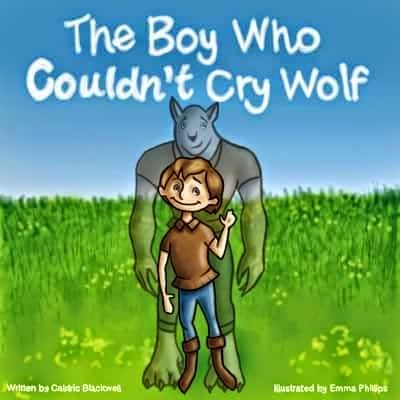 Caldric Blackwell’s The Boy Who Couldn’t Cry Wolf is an imaginative kindle picture book about a young werewolf who learns the value of self-confidence. This fun wolf picture book follows six-year-old Byron Woodward, a werewolf who can’t howl, a secret he has kept all his life. After being chosen to howl at a full-moon ceremony, Byron goes on a mission to learn how to howl. During his journey, he speaks with people, such as the mayor of the werewolf village, he considers to be good at howling. Despite his efforts, Byron is still unprepared when the ceremony begins, and the experience teaches Byron an important lesson about believing in himself. I read The Boy Who Couldn’t Cry Wolf to my four-year-old niece as a bedtime story, and she was engaged the whole time. She really liked the idea of having a werewolf as the main character. The plot of this picture book is simple and straightforward, but it’s not predictable, which kept my young reader from losing interest. The illustrations (by Emma Phillips) are colorful, working well in conjunction with the text to bring the reader into the story. The book’s language is simple and flows well when read aloud. My one criticism of this picture book is that the theme (self-confidence) isn’t emphasized much until the end. Overall, a fun children's book (that's especially good for bedtime) that’d probably be best suited for ages 3 to 7. One of the best things about this book is that for Kindle Unlimited subscribers it is one of many free kindle children's picture books. For those of you looking for children's books for your Kindle, it's worth noting this picture book is free for Kindle Unlimited subscribers.